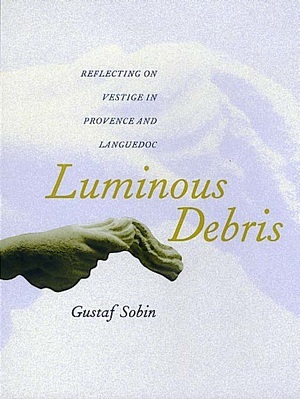 Interpreting vestige with the eloquence of a poet and the knowledge of a field archaeologist, Gustaf Sobin explores his elected terrain: the landscapes of Provence and Languedoc. Drawing on prehistory, protohistory, and Gallo-Roman antiquity, the twenty-six essays in this book focus on a particular place or artifact for the relevance inherent in each. A Bronze Age earring or the rippling wave pattern in Massiolite ceramic are more than archival curiosities for Sobin. Instead they invite inquiry and speculation on existence itself: Artifacts are read as realia, and history as an uninterrupted sequence of object lessons. As much travel writing as meditative discourse, Luminous Debris is enhanced by a prose that tracks, questions, and reflects on the materials invoked. Sobin engages the reader with precise descriptions of those very materials and the messages to be gleaned from their examination, be they existential, ethical, or political. An American expatriate living in Provence for the past thirty-five years, Gustaf Sobin shares his enthusiasm for his adopted landscape and for a vertical interpretation of its strata. In Luminous Debris he creates meaning out of matter and celebrates instances of reality, past and present. Gustaf Sobin's books include Voyaging Portraits (1988), Venus Blue: A Novel (1991), Breaths' Burials (1995), By the Bias of Sound (1996), and Towards the Blanched Alphabets (1998). A novel, The Fly-Truffler, set in Provence, is forthcoming this year.